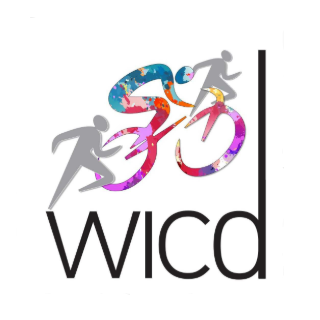 Get Your Company Moving at the Westport Inter-Company Duathlon taking place on Saturday, 27th April 2019. The Duathlon, which will take place around the stunning grounds of Westport House Estate and and the scenic coast road to Murrisk , will consist of a 5k run, an 18k cycle followed by a 1.7k run. 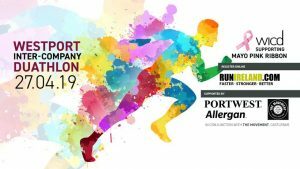 Co-created by Portwest and Allergan, this fun event aims to bring Mayo Companies and their employees, family & friends together, welcoming those of all fitness levels. Not ready to run a full 4.5k? No problem. Just sign up as part of a relay team and agree to hand your timing chip over to a team mate at one of the designated relay points. All proceeds from the day to Mayo Pink Ribbon. There is a playground on site at Gracy’s Bar & Bistro which will be open during the event. There will be face painting and other activities to help keep little ones entertained for the duration of the event. Post-race refreshments will be served at Gracy’s Bar and Bistro from 10am.